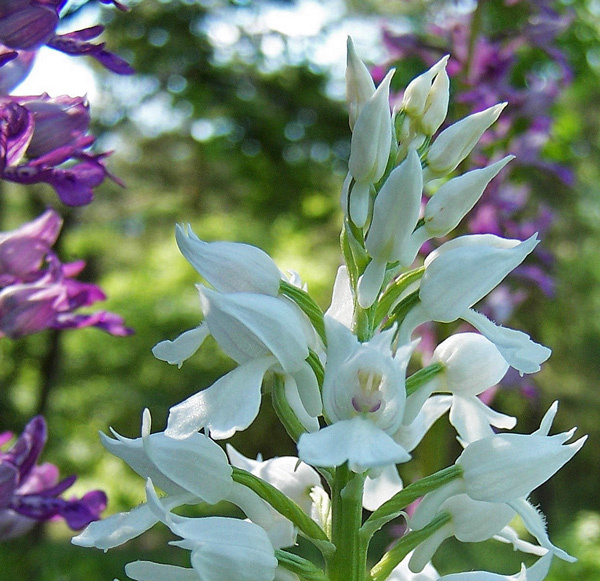 Orchis militaris is a robust plant with a height of 20 to 60 cm. It is named after the strong hood reminding of the armature of a medieval knight. The foliage leaves are rather big and broad, light-green and unspotted. 3 to 6 leaves form a rosette at base, 1 to 4 leaves are sheathing the stem and protect the flourishing inflorescence in its early stage. The inflorescence is conical, later cylindrical and filled with 10 to 40 flowers. Petals and sepals form a tight, acuminate hood which has a grey colour on the outside and purple veins inside. 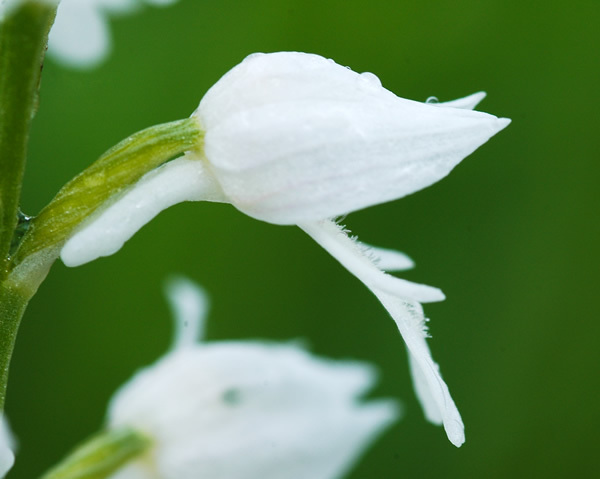 The ovary of each flower is contorted, the spur is short and bented downwards, the bracts are very short and thin. The labellum is deeply three-lobed with a middle lobe which is deeply divided into two secondary lobules separated by a tooth. 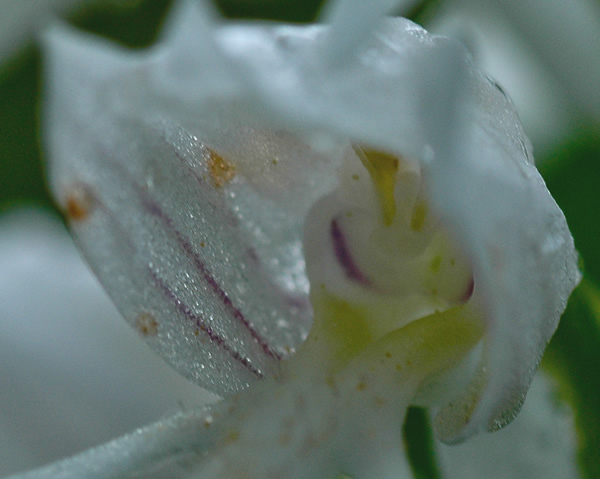 The surface of the labellum is marked with papilla-like, purple spots with tiny hairs. The two pollinia are attached to separated sticky plates. The flowers are pollinated by bees, bumblebees and other insects. Linné first described Orchis militaris in his opus Species plantarum (1753). H.Kretzschmar et al. 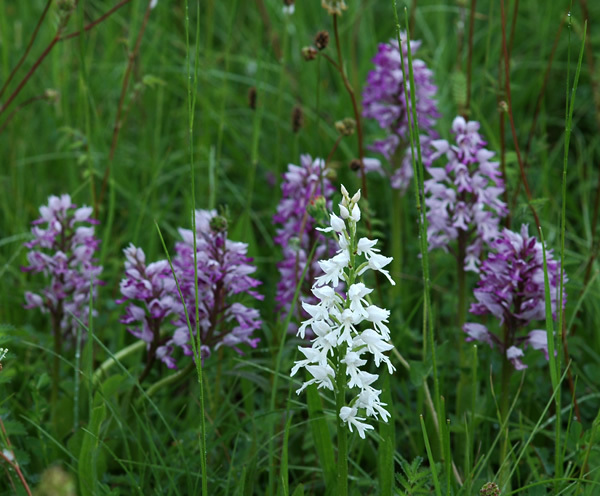 (2007) put Orchis militaris in a section called orchis as part of the sub-genus Orchis, together with Orchis purpurea or Orchis punctulata. The flowers of Orchis militaris are mostly purple. There are some colour variants with a more rose tone. Pure white-flowered plants are quite rare. The plant shown here still has some very fine purplish veins in the hood, while the plant shown in Die Orchideen Deutschlands (2005, p. 592) shows green veins on the white ground. Habitats are mentioned in Germany and France. 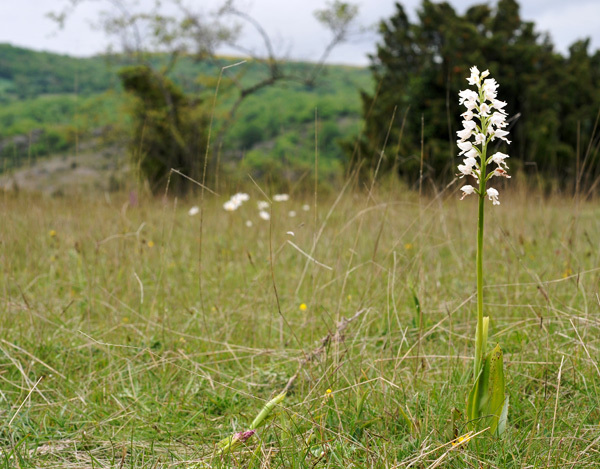 Orchis militaris is growing on dry grassland, meadows and pastures on calcareous soils, up to 2200 m. Bloom is from April to June. 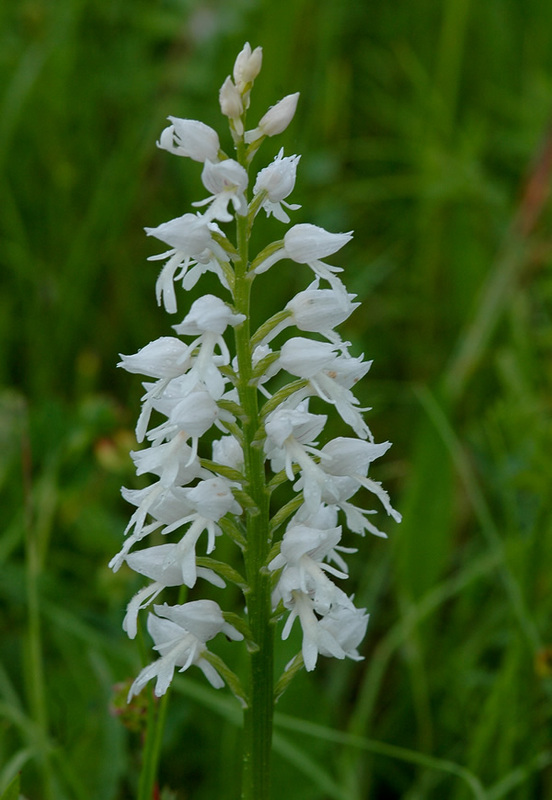 Orchis militaris is found in all of Europe except, Ireland, Iceland, Denmark, and Norway.